“Yesterday I went down to the sea with Jacqui, as she usually does twice a week, to take a swim. I can imagine she must feel calm and her body at one with the sea. The atmosphere was fantastic, as the sun set, the sky turned into all these beautiful colors, from pink to grey, the water was fairly warm and a lot of fresh water was washed into the sea due to the heavy rain during the last days. Geese were flying above the sea and were making this whole experience even better. By Isabel from Austria, a workaway staying with John and Jacqui in Kilchoan. This Saturday on the 20th of October 2018 there will be a wild swim across the Corran Narrows, which I am attending, weather permitting. 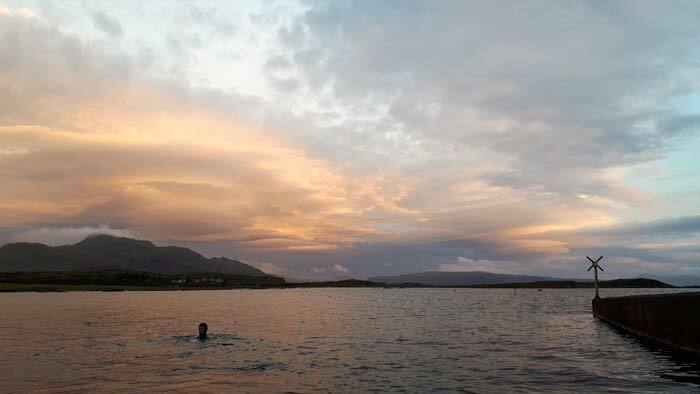 These wild swimming events are organised by Highland Open Water Swim. Most importantly all donations will go towards Children with Cancer UK. 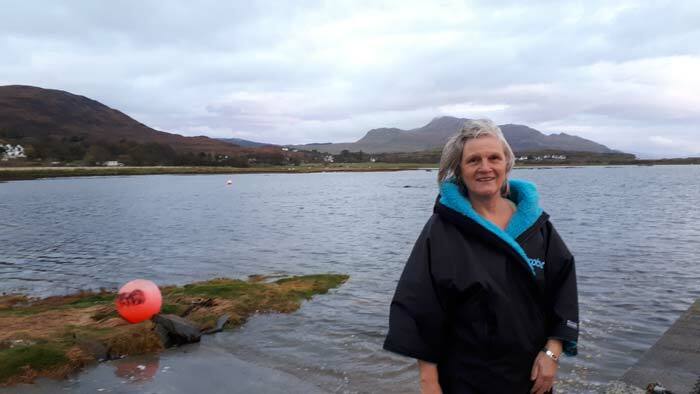 Steading holidays is a small, family-run business run from our home, The Steading, in the small crofting community of Kilchoan. Having lived here since 1980 we are still amazed and inspired by the beauty of Ardnamurchan and have a wealth of local knowledge which we love to share.